Kids Vote Bowling Birthday Parties #1. 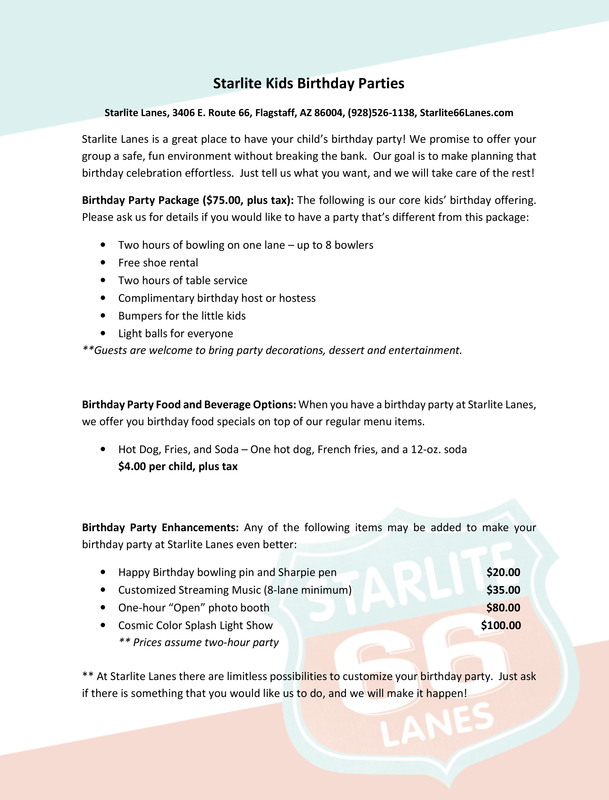 When you’re looking for a birthday party place in Flagstaff …Starlite Lanes is your party headquarters. Home birthday parties can be a lot of work: picking a birthday theme, decorating, cooking, hosting and then cleaning up after the guests leave! Exhausting! 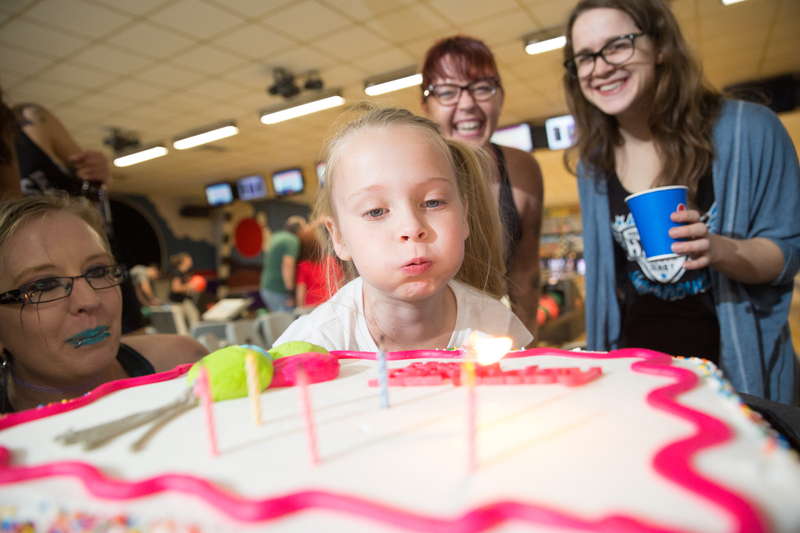 With16 lanes, an array of shoe sizes, bumpers, ramps, light weight balls, kid friendly food, music and color splash lighting, there’s no better place to celebrate than Starlite Lanes. Our party packages can accommodate your budget and provide you with everything you need to let the good times roll!